A Christian putting his two-cents in on theology every other weekend. 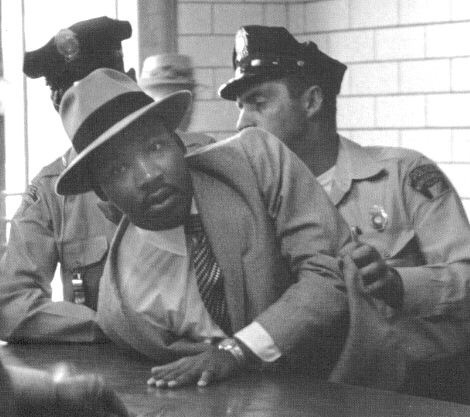 This post could just as easily be called “A True Revolution of Values,” but to celebrate Black History Month in the US, I wanted to take a look at a second MLK speech: The Three Evils of Society. While watching the speech, the biggest take away I got was this: beliefs are not separated from actions. In the speech, King dictates that there are three primary evils plaguing society. Much to the chagrin of some American Christians, I don’t think he said the word “sin” specifically once– though it is clear that all of these would fall under that category. The speech will also likely make some Americans uncomfortable with what sins are outlined, much like the churches written to by Paul likely were. Before I go on, watch the speech here. It is perhaps unsurprising that the first of the evils discussed by Dr. King, renown civil rights activist, is racism. At the time of this, we were in the civil rights movement, but now we are finally coming to grips with the racism in the country again with Black Lives Matter. As he says, for almost every step forward, there has been a step back. From predatory loans and housing issues to the current “white backlash” which placed Trump in office as president after a double term of President Obama. Allowing racism to continue on systematic levels means that we cannot honestly call the United States the land of Freedom and Equality. Having lived outside the States for some time now, I can see that this is not the case in all countries. If other places can do better, then we can also do better. I realize that there are definitively people who can speak better to this than me, so I’m going to leave an elipses here for a possible guest blogger. This seeking to be wealthy truly does blind us to the human realities around us. The capitalist system which has been promoted since the mid-1900s (and beyond, though I am speaking of the Red Scare specifically), has and does thrive on the exploitation of people. The deceptive rhetoric from politicians, then and now, protects the wealthy by widening the income gap. The recent bills passed in congress seem to follow similar trends of “socialism for the rich and capitalism for the poor,” demeaning them as needing to “pull themselves up by their bootstraps” as they sit on their family fortune. This system of classism, of greed is entirely counter-biblical. In the beginning of the early church, the apostles and their followers sold land and houses and chose to live together, to feed and clothe those in need (Acts 2:42-47, 4:32-37). While it is ambiguous what MLK’s economic policy would be beyond people finding jobs that could support them and their families, he does point out that Marxism’s existence is an indictment that we have failed to make democracy real. The third evil is the evil which continues to be a major method of the US government to influence world politics. At the time of this taping, MLK is speaking of Vietnam, but he just as easily could have spoken about Korea, Guatemala, Iraq, Iran, or almost any number of the “conflicts” we have entered in order to place people into power our leaders want in power. Notice that this does not demean soldiers, those who are fighting, but denounces those who are sending young men and women to die. As Senator Fulbright, creator of the Fulbright program, is quoted to have said, this militarism shows our “arrogance of power” as we exacerbate the other two problems and contribute to the industrial war complex. Besides the issues caused by not finding peaceful solutions in general, our choice to fund the military over housing, healthcare, education, and other “social uplift” programs makes it difficult for the US to move forward. We have been left behind much of the developed world who have ensured that they take care of their people instead of building their militaries. There is little wonder that Martin Luther King was labeled by the FBI as one of the most dangerous men in the US while he was a leader of the civil rights movement with speeches like this. It is interesting that we have accepted his “I Have a Dream” speech, included it in the curriculums of our children, but we have ignored this one. Is it because these are still ALL problems today? That they have not gotten better? Racism was the only one that America has admitted as a problem, and it was merely swept under the rug. Now, with murder after murder fueling the Black Lives Matter movement, it has been dragged out for us to see. Excessive materialism is not only alive and well, but thriving. Militarism has reached the point that I barely remember a time where the US was NOT at war. Toward the end, Dr. King called us to change the way things are. The US has not done that, and many of our churches have sat idle (I’ve literally been told by pastors that the Bible is not pro-social justice). We as Christians cannot continue to sit idly by. We ought to be front and center because “the whole Jericho Road needs to be transformed” so that the systems do not continue to oppress people. We ought to keep that in mind with every dollar we spend, every vote we cast, and every time we see a protest we ought to be a part of. Our beliefs cannot be separated from our actions. Thank you for reading! If you enjoy this blog, like, subscribe, and consider supporting me on Patreon. Next Why is the Old Testament So Hard to Get Through?